Leon is Associate Director at GDP Global, specialising in trade affairs. Leon founded the international trade consulting and training company Northern Cape International Trade Corporation (NC International Trade Corporation) in 1996, after moving on from his role with the South African Customs Administration – now the South African Revenue Services (SARS) – as Assistant Director, Tariff Amendments. He is a specialist in Harmonised System tariff classification. As a leading consultant, Leon advises, briefs and trains blue-chip clients on the management of international trade regulation and techniques related to successful approaches to international trading. Leon also keeps his clients briefed on changes to best practices in international trade and advises them on the impact of national and regional legislation on international trading conditions. 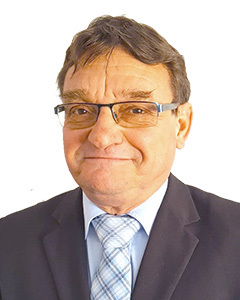 Leon is the author of the ‘Jacobsens Guide to Classification’, a Guide to the Customs Tariff of the Southern African Customs Union (SACU) countries – Botswana, eSwatini (previously Swaziland), Lesotho, Namibia and South Africa – first published in 1997. The ‘Jacobsens Guide’ will soon become available as an online solution. Leon authors the weekly ‘Jacobsens Customs News Bulletin’ for the legal publisher LexisNexis (since 2007). He also authors various training programmes that are accredited by the South African Qualification Authority (SAQA) and the Transport Education and Training Authority (TETA). A landed cost solution based on the Harmonized System for Nextlinx Corporation; the solution was subsequently acquired by Management Dynamics. A content knowledgebase covering trade regulations of the five SACU countries – including their customs tariff. He provided content used in the development of export/import compliance solutions. Leon is involved in video content for GDP KnowHow (https://knowhow.gdpglobal.com/), GDP Global’s successful online learning platform. GDP KnowHow provides knowledge, knowhow and best practices to all investment, economic and trade promotion organisations worldwide. Education: Programme in International Freight Management and Administration for Importers and Exporters (University of South Africa, Pretoria). Languages: Afrikaans (native); English (bilingual); Dutch (good).